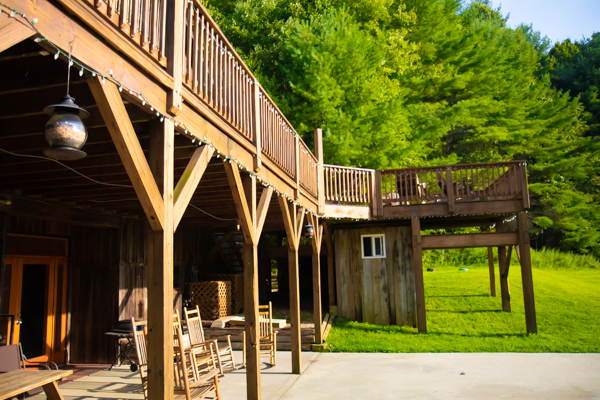 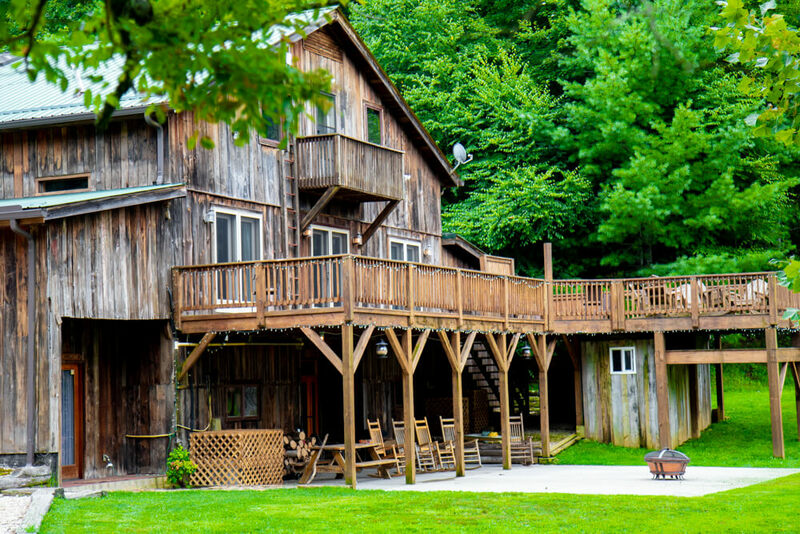 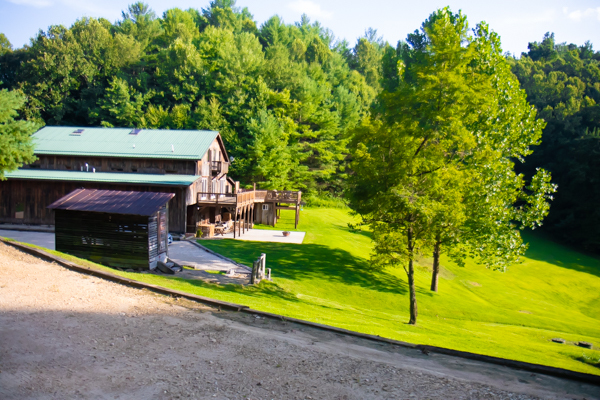 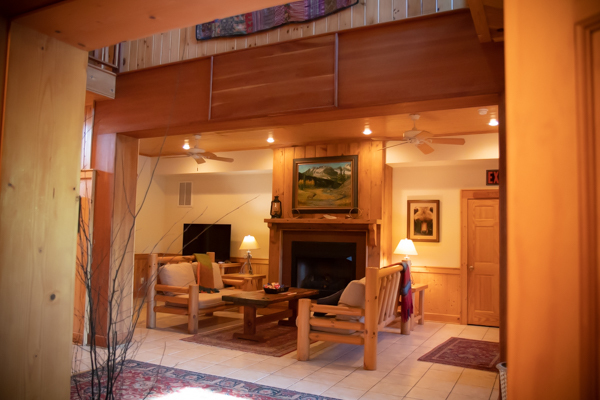 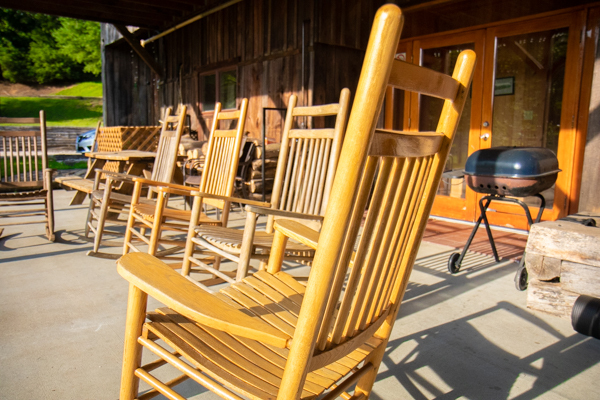 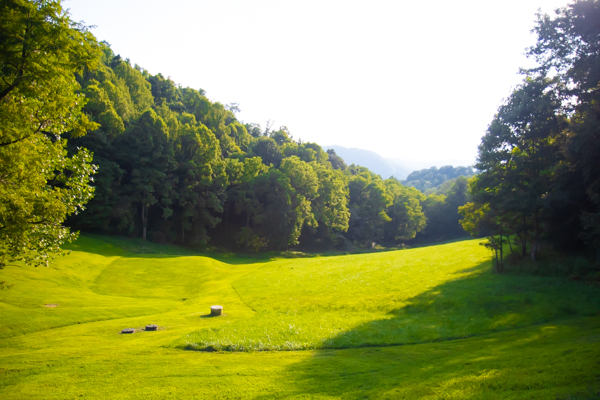 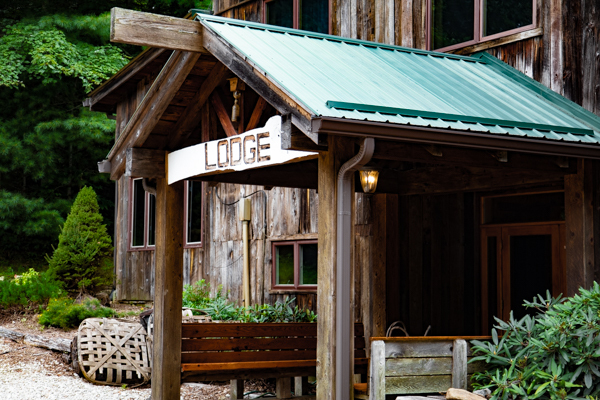 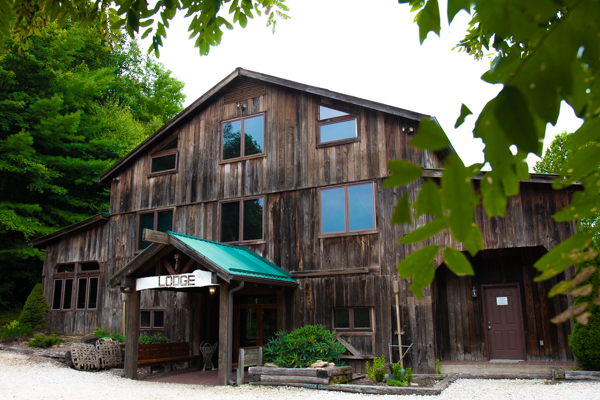 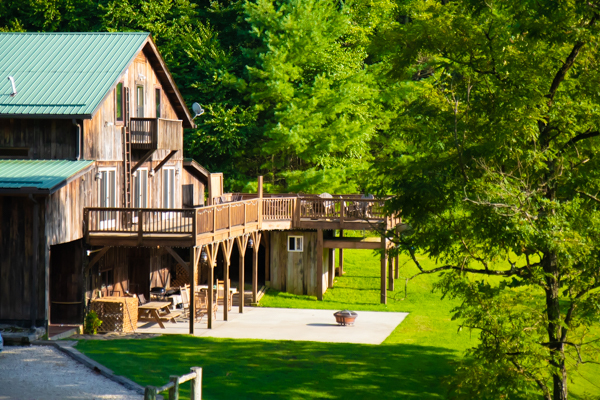 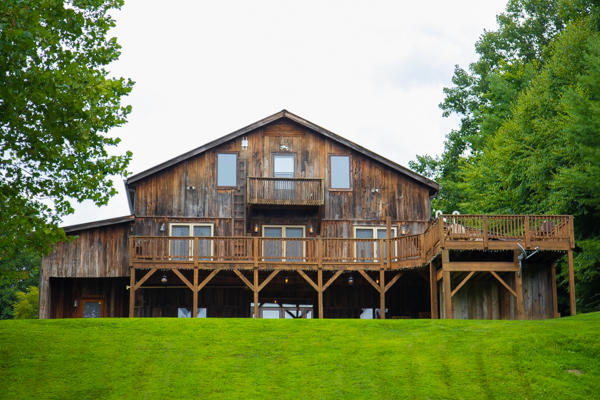 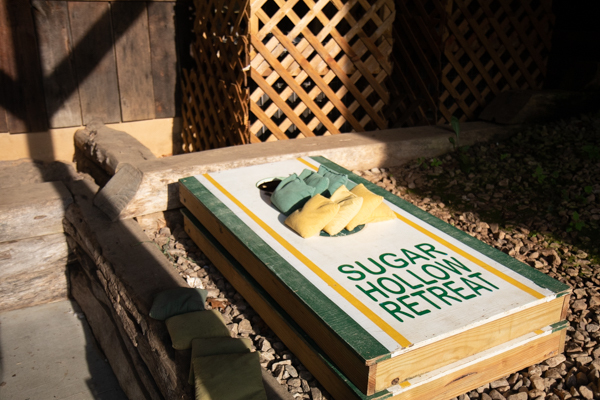 Bold and beautiful, The Mountain Lodge at Sugar Hollow provides you with the perfect getaway for your group or family. 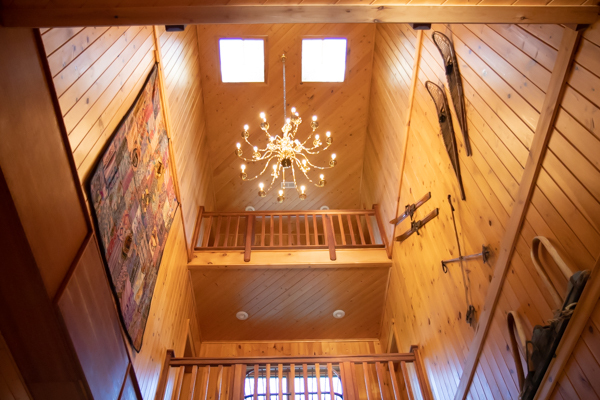 Feel the extravagance of the outdoors, as you’re immediately greeted by a grand 30-foot ceiling and distinctive, cherry-trimmed staircase. 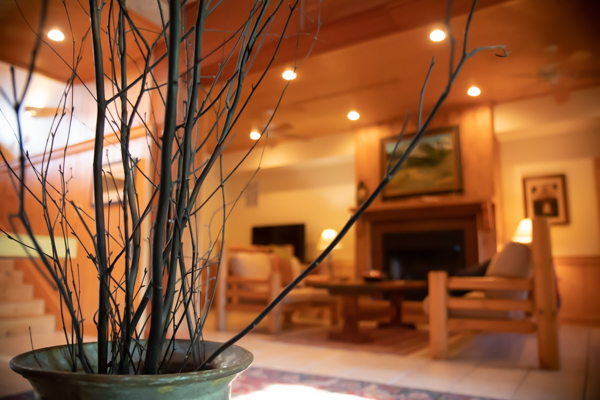 Continue inwards to feel the warmth of the fireplace and the beauty of the overlooking brass chandelier – you’ll find relaxation is inevitable. 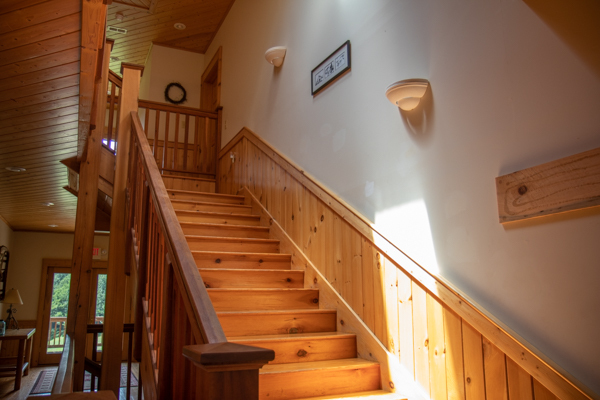 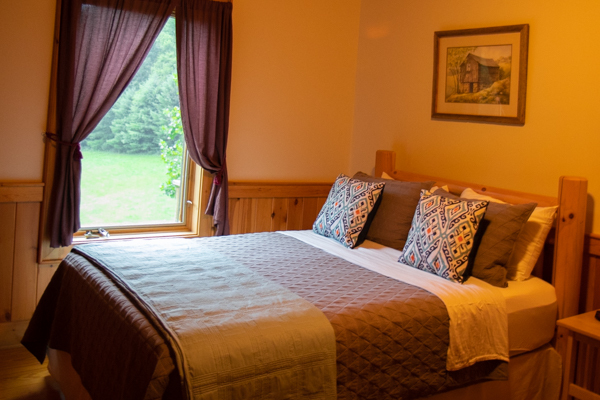 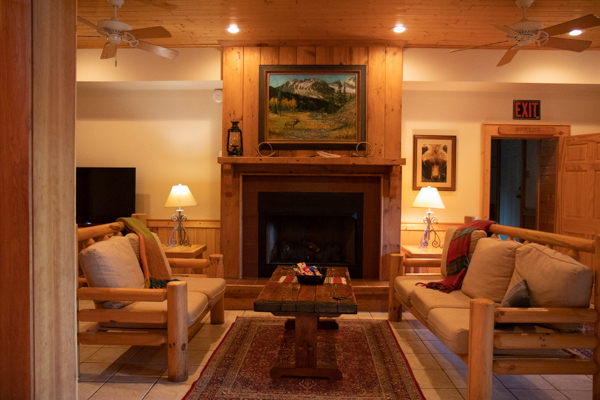 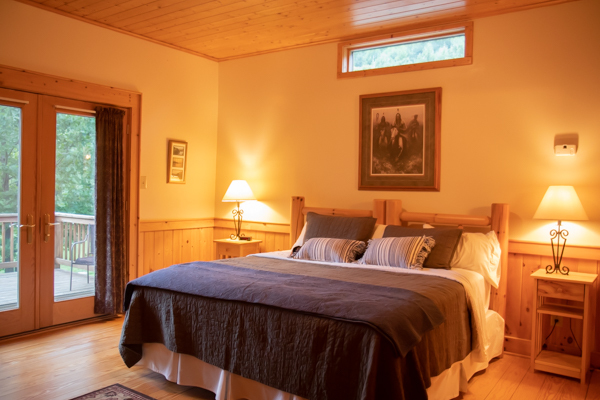 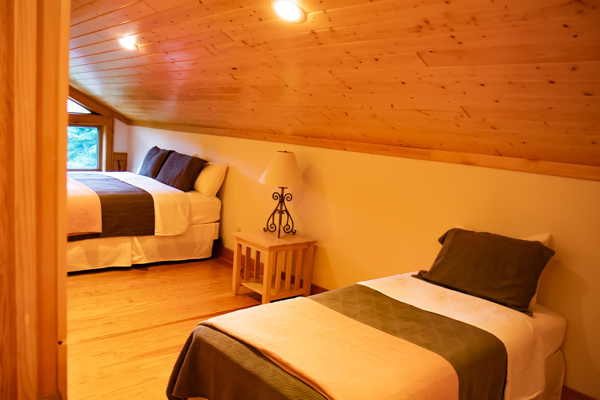 The Mountain Lodge comes fully heated and air-conditioned with ten individual guest rooms, each with private baths and thermostats – ready to provide you with a comfortable and relaxing atmosphere. 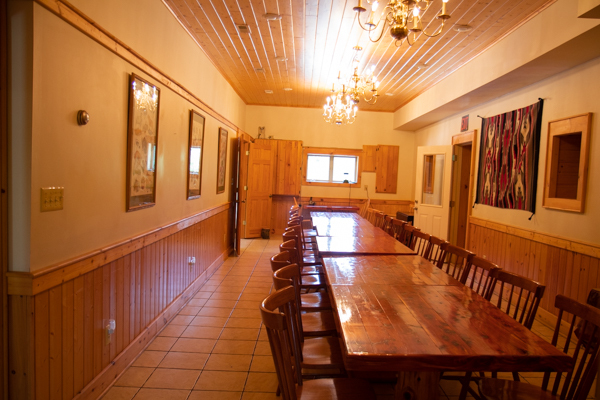 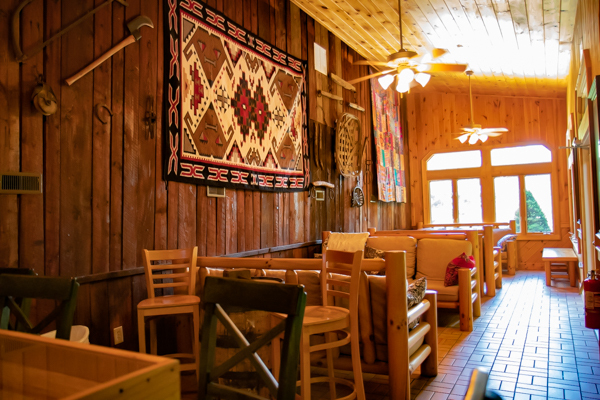 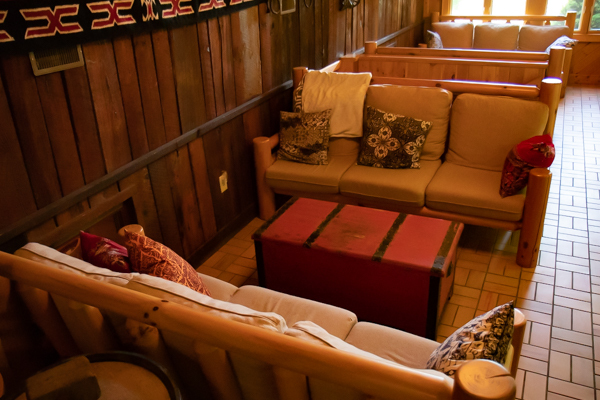 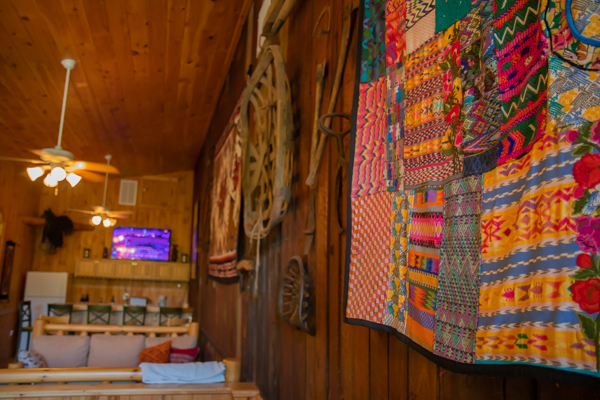 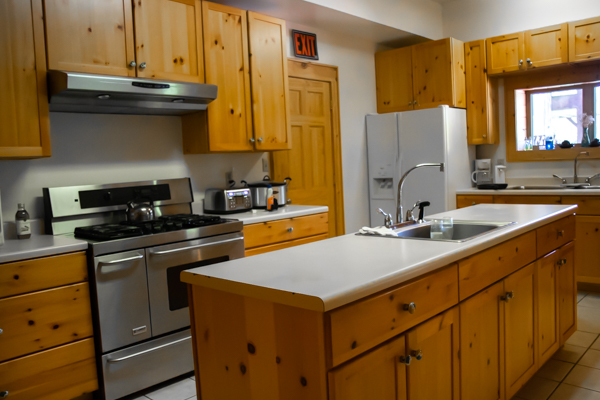 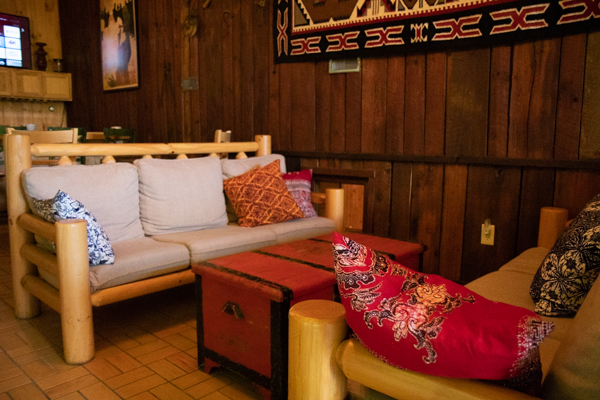 Also, The Lodge is equipped with full Wi-Fi, satellite TV, coffee bar, and a spacious kitchen. 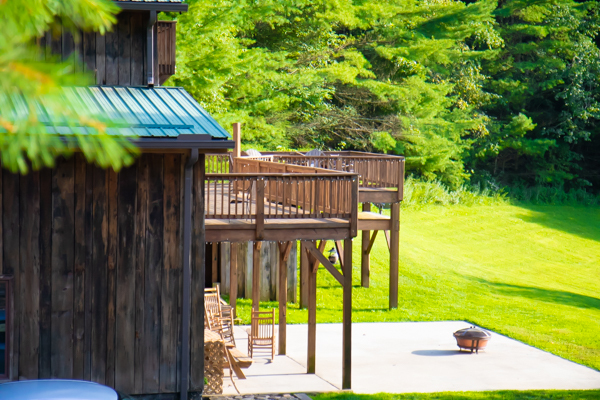 Everything needed for your majestic escape.